Take your party outdoors with Jamestown Awning. We offer just the right tent for your wedding, graduation, reunion, backyard party, or corporate event. We have a variety of types and sizes to fit your specific needs. Sizes range from 10’ x 10’ to 50’ x 250’. All of our tent rentals include solid side walls and set-up and take-down services. 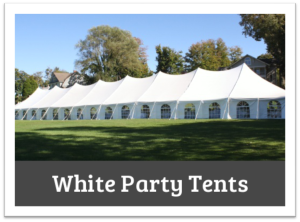 You can choose from white party tents or standard tents, pole style or frame style tents. So, get under cover with Jamestown Awning and Party Tents. Don’t forget Jamestown Awning for your tables, chairs and tent accessories as well. Make us your one stop wedding rental location. With a wide variety of tables, chairs, lighting, dance floors, staging, tent wall options and much more. Call today to find out all Jamestown Awning has to offer! White Party Tents: Take your wedding or special event outdoors. Our white party tents are an elegant way to celebrate any occasion. 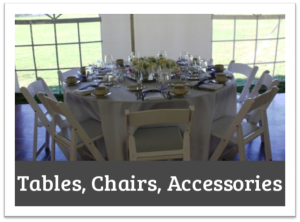 Let us customize your event, from specialized layouts to professional installation. Whether you want small and intimate or large and elegant, let Jamestown Awning’s wedding specialist make your event stress free. Standard Tents: Jamestown Awning has a wide variety of standard tents to make your birthday, graduation, picnic or party a success. 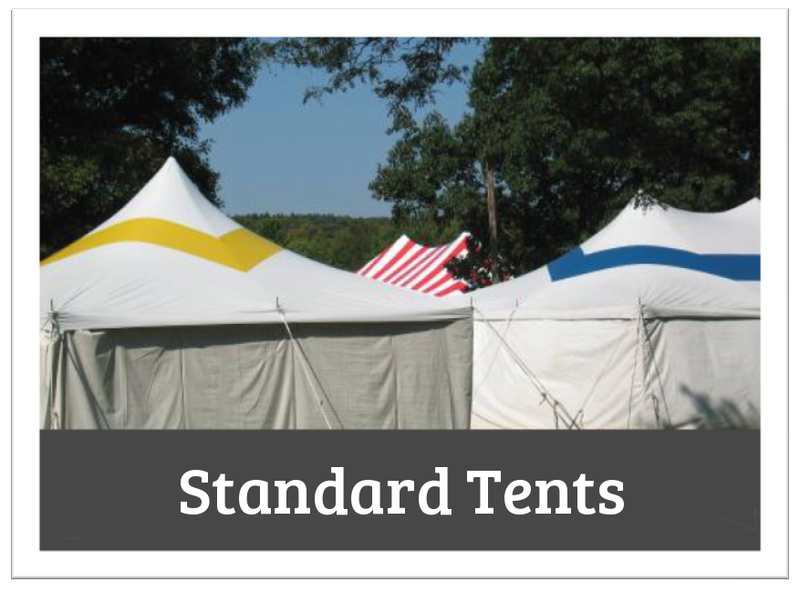 Our tent inventory consists of a variety of styles, sizes and colors. Let Jamestown Awning be your party solution! Solid Side Wall (included with tent rental).